The Overhead Door Company of Fort Wayne has provided quality commercial and residential garage doors in Fort Wayne for over 80 years. When you need repairs or replacement for your garage doors in Fort Wayne, call us for fast and reliable service. We also have an insulation division to keep your space energy efficient and comfortable. Contact us by calling 260-205-8509 to schedule service or in case of an emergency with your garage doors in Fort Wayne! We sell, install and service a complete line of steel, wood and aluminum garage doors. We have all your needs covered for fire doors, security grilles, high-speed doors and dock equipment. We offer Marantec garage door openers for installation and replacement. Call us for 24/7 repairs. We specialize in fiberglass, foam and cellulose insulation for new and existing structures, pole barns and crawl spaces. We offer a wide range of high-quality garage doors in Fort Wayne, IN, including steel, wood and aluminum doors. In addition to providing the highest quality residential and commercial doors in Fort Wayne, we offer 24-hour emergency repairs and same-day service whenever possible. When you need garage door service for your home in Northeast Indiana, call Overhead Door Company of Fort Wayne. Your garage door is a major investment, and the quality of the installation work is just as important as that of the product itself. 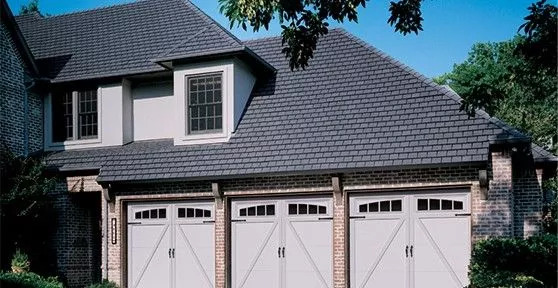 We offer the highest quality garage doors in Fort Wayne for our residential clients and can help ensure smooth operation with proper installation and maintenance. Having high-quality, functioning commercial doors in Fort Wayne at all times is critical for your facility. If your garage doors break or need to be replaced, service must be completed right away to ensure your property remains protected from theft and the elements. Overhead Door Company of Fort Wayne offers 24-hour emergency service when you need repairs and installs quality products to meet your needs. We also provide service for your dock equipment. We install commercial and residential insulation in Fort Wayne. Our specialty covers fiberglass, foam and cellulose structures for residential and commercial buildings throughout the Fort Wayne area. No matter what your garage door service needs, The Overhead Door Company of Fort Wayne has you covered. We have been installing, repairing and servicing garage doors in Fort Wayne for residential and commercial buildings in Northeast Indiana since the 1930s. We offer 24-hour emergency garage door service. Whenever you need us, we’re here to get you fixed up fast. Call us at 260-205-8509 to schedule garage door service in Northeast Indiana or contact us online today! The Overhead Door Company of Fort Wayne has been serving the Northeast Indiana area for over 80 years. With our dedicated and experienced team to assist you every step of the way, you can rest assured you’ve come to the right place for installation and service for residential garage doors, commercial doors and insulation in Fort Wayne. We are part of the Installed Building Products Family of Companies, the second largest insulation installer in the U.S. residential new construction market. We are proud to pass along the savings, knowledge and service that come with being part of a national organization to you. If you need garage doors in Fort Wayne, contact us online or give us a call at 260-205-8509 today!